Last year, Star Wars: The Mandalorian producer Jon Favreau shared an image of the classic assassin droid, IG-88, on Instagram, teasing that the character would be appearing in the new Disney+ exclusive show. 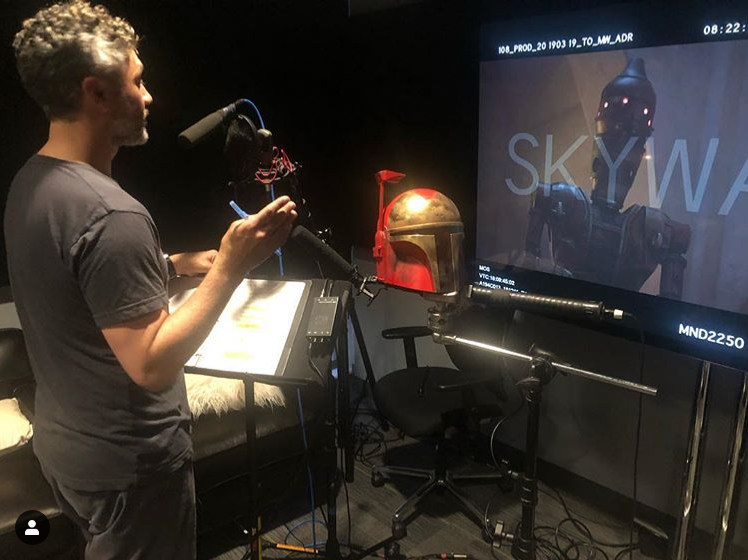 Today, he released another image, featuring Thor: Ragnarok director Taika Waititi, standing in front of microphones with footage of IG-88 on the screen, suggesting that Taika will be voicing the Bounty Hunter. This wouldn’t be the first time Taika has voiced a character, as he played Korg in Thor: Ragnarok. Taika Waititi will be directing an episode of Star Wars: The Mandalorian, so it isn’t clear yet if IG-88 will be just a cameo or a reoccurring character throughout the series. Do you want to see IG-88 in Star Wars: The Mandalorian?